graduated, with honors, from Florida A&M University with a double major in Political Science and Public Administration. She later attended Stetson University College of Law and graduated with a concentration in Advocacy. While in law school she was a member of the Moot Court team and won First Place Best Oral Advocate in the E. Earl Zehmer’s Moot Court competition. In addition to receiving various other awards and scholarships, Mrs. Jean-Pierre Coy received the Victor O’Wehle Award for Excellence in Trial Advocacy. As a former Assistant Public Defender, Mrs. Jean-Pierre has defended all types of cases ranging from traffic citations to misdemeanors to felonies punishable by life. Mrs. Jean-Pierre Coy has taken well over 50 cases to trial and has argued countless motions on behalf of her clients. Mrs. Jean-Pierre Coy has appeared before various judges in Hillsborough, Pinellas, Pasco, Polk, Orange, and Dade counties. She is familiar with the court process and always ensures that her client’s are aware and understand all of their legal rights and options. In January 2010, Mrs. Jean-Pierre Coy opened her own law firm so she could continue to help people in other areas of the law. In addition to criminal defense, she continues to zealously help individuals involved in the Family Unified Court and those hurt or injured in various types of automobile/motorcycle accidents. 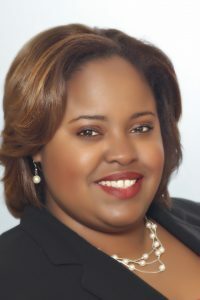 Mrs. Jean-Pierre Coy is fluent in Haitian-Creole and prides herself on being able to help the surrounding Haitian community with their legal needs in a language that they are comfortable and familiar with.